DeFacto is an algorithm for validating statements by finding confirming sources for it on the web. Linked Data Stack is an integrated demonstrator application for the tools of the LOD2 and GeoKnow projects. 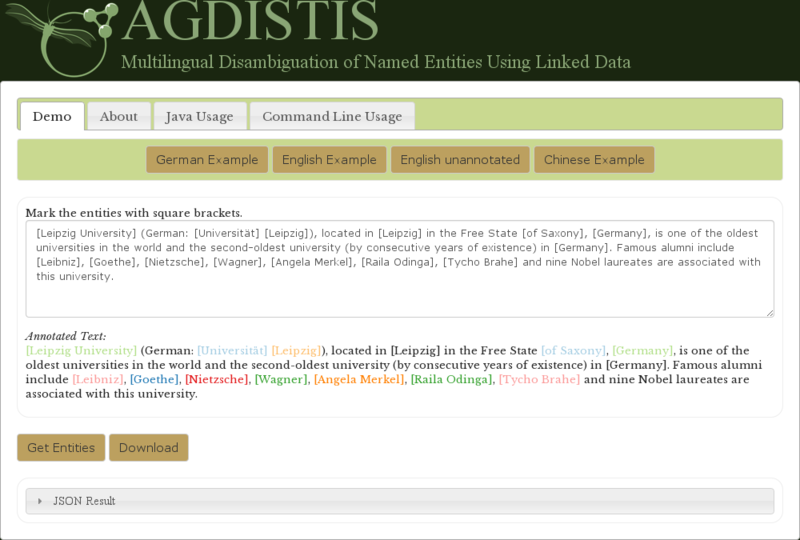 LODStats collected statistics from all LOD datasets registered on the OKFN datahub. OntoWiki is a semantic data wiki for publishing and consuming Linked Data in agile, distributed knowledge engineering scenarios.